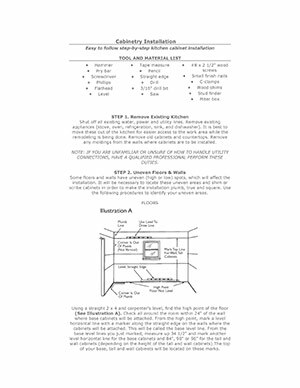 Need some easy to follow, step-by-step kitchen cabinet installation help? That’s what the DIY section of SuperHomeSurplus.com is for! With our help, you can get it done, and get it done right- the FIRST time!